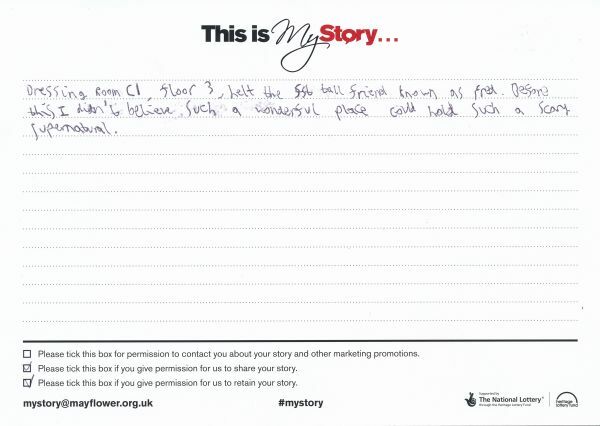 My Story card: Oliver Hiscocks remembers the ghost called Fred on floor 3. Dressing room C1, floor 3, left the tall friend known as Fred. Before this I didn't belive such a wonderful place could hold such a scary supernatural.